A while back in a previous post, we showed what happens when retro and politics collide - click here to see that post. 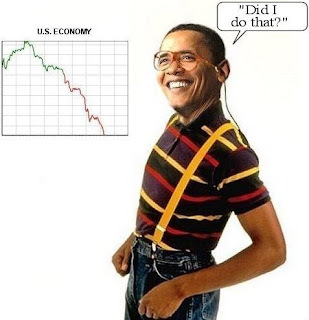 Here's another installment featuring a likely response from the anointed one if he doesn't get the economy rolling again in the next little while. 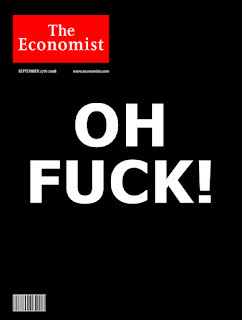 Getting the economy back on track will be the only way to avoid magazine covers like the one below. We all pretty much have hit our own personal rock bottoms so let's hope the man knows what he's doing. Hey - don't get me wrong, I've got nothing against him and certainly hope for the best for all of us but it's almost been a year now and I hope the wave of goodwill he rode in on doesn't get eroded with some of the decisions he's made so far and lack of action in some cases on other issues. I've got my fingers crossed for all of us. On a lighter note - here's a Carlton Banks and Steve Erkel danceoff.